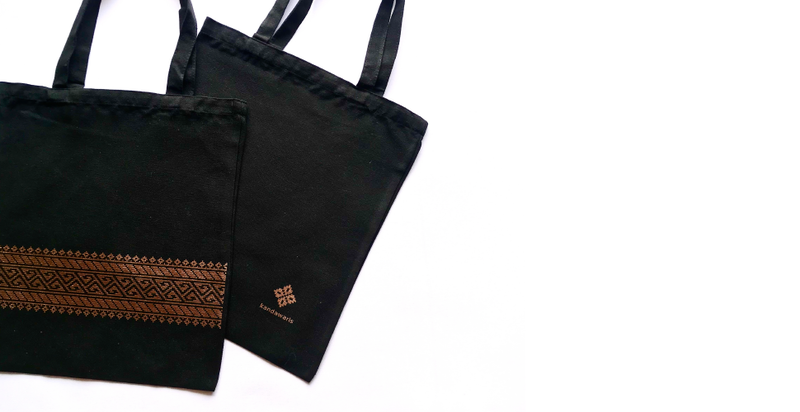 The Kandawaris tote bags are made of high-quality eco 10 oz canvas fabric. These bags are foldable, lightweight, and portable to be carried by hand or over the shoulder. There are 6 designs available for you to choose from. Visit our online shop to view the bags.